On June 15 2010, with little fanfare or debate, the Charles County commissioners approved the use of speed cameras. A public hearing was held on June 15 to discuss the ordinance (Bill#2010-10), however no members of the public other than county officials were present to speak. The county website shows that the legislation was unanimously approved the same day. The 'press releases' section of the county website did not include a posting for the hearing or for the passage of the legislation. The legislation goes into effect July 30th. 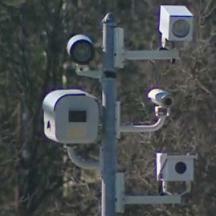 Before deploying cameras the county will need to sign a contract with a speed camera vendor. The legislation states that the cameras will only be used in "school zones", however in most of the rest of the state local governments have simply created new school zones solely for the use of speed cameras regardless of whether those locations were ever considered school zones previously (despite published guidelines from the SHA stating that this should not be done).